As we move into back to school season, there are some great homeschool organization ideas out there to help you make sure the at home classroom is orderly. From helping organize so you find everything easier to giving your kids designated work areas, this is a wonderful list of ideas to keep you orderly for your next homeschool year. We fell into homeschooling more or less against our will. While I was homeschooled as a teen, I never wanted it for my kids. My Beau was not a fan of homeschooling either. In fact, while not against it for others, it was far from what we planned. Then we had this son who just excelled. In so many ways he did amazing things, and in others, he struggled. With local school districts not really willing to work with him on his unique level, we started with the first few years as homeschoolers. Four years down the road and it is still part of our life. While we hope to enroll him in a public or private school next semester, for now, we are still a homeschool family, and that means I need homeschool organization ideas to make it work. I am a detailed and routine oriented person, and if I don’t stay focused, I get really behind on everything. Having some basic things in place to keep us on track is vital to his education, and my sanity. These tips are things I have found work best for our family and totally recommend for your homeschool classroom this year. Begin Here: Our own 7 Steps To An Organized Homeschool Classroom are some basic tips to help you manage to create a new homeschool classroom, or simply keeping yours orderly. This is what works best for our family, but you’ll want and need to adjust for your individual needs. If you want some more detailed homeschool organization ideas, my friend Savanah from Midwest Modern Momma has some amazing tips. 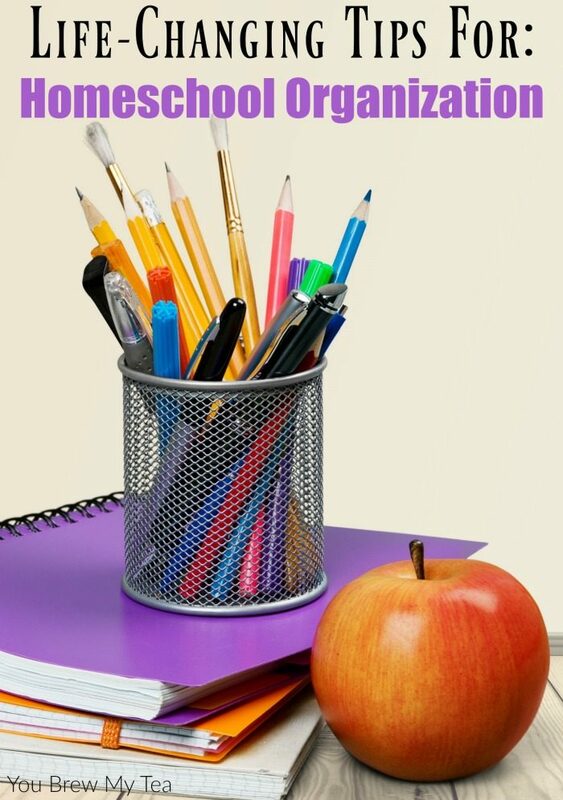 She shares about basic organizing, organizing your papers, and of course, my favorite list she shares is al about frugal storage solutions for your homeschool classroom. Plan For The Whole Year: I’ve also gathered a few more great organizing tips for your homeschool year that I think are really helpful. These are especially good when you begin homeschooling and aren’t sure how to get things in order. I love the great ideas on Living Montessori Now. In fact, a lot of this is what we practice in our class now. I love the idea of Montessori learning styles, and if you haven’t looked into it yet, you should definitely start here with their post on How To Set Up A Montessori Homeschool Classroom. 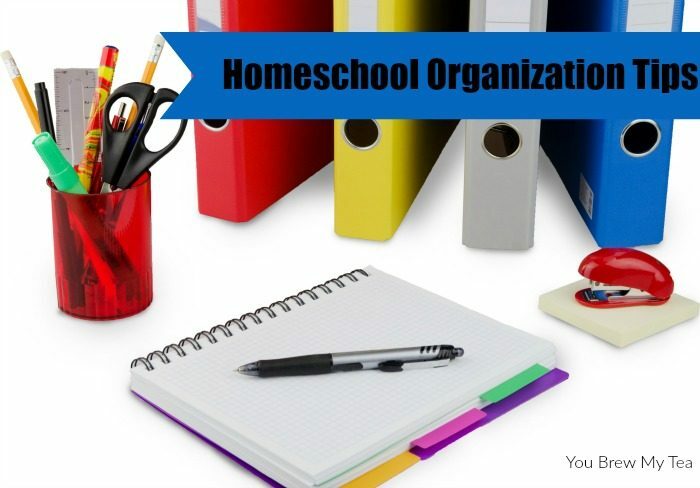 Homeschool Organization Includes More Than Book: While I love Savanah’s tips on organizing paperwork that I mentioned above, there a few other great bloggers that have some amazing tips for how to keep things in order. I think my favorite is the post from Living Life and Learning where she shares tips on How To Keep Track Of Your Homeschool Curriculum. Some of these others are pretty awesome too for helping you keep track! Now, these homeschool organization ideas are some of my favorites, but I can also say that our system is unique right now. We have never had a designated space in our home. We have, however, used a lot of ideas here to create a functional system to stay organized. Be Flexible: I keep a small tub next to my desk that includes things like art supplies, books for the future, and a few current books we are working through. We work in whatever room is convenient, so we keep things in different areas for convenience. I like keeping his curriculum and workbooks in my office so I can pull out pages as we need them. He keeps bigger textbooks, extra books for reading, basic supplies, and his computer in his bedroom at his desk. We often use the living room floor or even my bed to do worksheets together. The main thing is that we keep consistent with education. These basic tips and some fun posts from our friends are a great way to begin in your homeschool organization this year. Make sure you focus on your kid’s individual needs, and adapt as you need to in order to make the most of these suggestions. I love these organization tips, they’ll come in really handy if we decide to homeschool! Thanks for linking up at Bujo Mojo this week!